Ithaca: Fourth Estate (HarperCollins),280 pages, Rs499. Anybody expecting a novel about publishing to be a comedy can only be unfamiliar with the terrain. 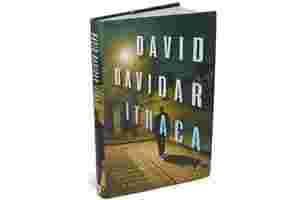 Nor is David Davidar’s Ithaca a biting satire; faithful as it is to describing publishing’s milieu, Ithaca doesn’t settle scores in the manner of a roman à clef (though Davidar’s agent, David Godwin, makes a cameo, as do several real-life authors). These days, the global publishing trade is stumbling around, one hand shielding its eyes from the daylight, the other groping for another drink to dull the insistent throb. Where Ithaca succeeds is that it is a stirring apologia for this incontinent industry. We will always need stories, asserts Davidar’s stand-in, speaking modestly for the human race. And here the dramatic stakes are indeed low. A bright if feckless youth with a love for books, Zachariah Thomas finds his way from Delhi to London where, after his studies, he joins a publishing house at the bottom rung. Sifting through the slush pile, Zach stumbles upon an author named Massimo Seppi who, after a false start or two, hits on an idea that launches the next literary craze. As wise as wizards, as fearsome as vampires, and friends with God almighty, angels are apt enough candidates for the next big thing; Zach throws himself into the task of making it so. Seppi soon becomes the sort of anchor franchise that firms dream of, subsidizing with its revenues all the mid-list literary authors they’re actually proud to publish. By the time we meet Zach, he is in decline. Having ascended the professional ranks, he has reached a position of responsibility for the bottom line just as Seppi’s production begins to peter out. Not much of a people person, Zach reluctantly visits his star author, only to find him terminally ill. To rescue his firm from the clutches of a rapacious conglomerate, Zach will need a miracle—and gets it, in a fashion fleetingly reminiscent of Dan Brown. Looming still larger in Zach’s mind is the recent departure of his wife, Julia, for whom Zach’s obsession with work is the ostensible deal-breaker. But their relationship, at best, seems to have survived on titbits of publishing gossip—or on a shared passion for books, a more generous observer might say. Zach stumbles through his personal life, clinging to another woman he doesn’t even like, even as he longs for Julia’s return. Zach’s flaws as a moral agent are the same as those he exhibits as a character. Sketchily drawn, he is difficult to invest in; even the close narration ultimately strays from his point of view and veers, as though heading out for a nightcap, into satire. Chronically insecure, he has a habit of reaffirming his values by drawing contrasts with figures in the publishing world he sees as less admirable, as well as by lunching with, and lionizing, the field’s éminences grises. Davidar’s previous novels (The House of Blue Mangoes, a rural family saga, and The Solitude of Emperors, an urban novel of communal conflict) have been characterized as labouring under dull narrators; in Ithaca it is rarely a privilege to be let in on Zach’s thoughts. To draw, briefly, the inevitable comparison between the author and his main character: As an original editor and publisher at Penguin India, and later at Penguin Canada, Davidar was responsible for publishing the biggest names in Indian writing. As Zach considers a return to India, so Davidar has returned, under a cloud of scandal, to found his new imprint, Aleph. While the geographical and professional trajectories of Davidar and his double diverge somewhat, their resolution is that of Homer’s epic: arriving home, after trials and peregrinations, to a woman. Ithaca, to great relief, does not lean heavily upon its heroic framing to provide allegorical heft. But the impulse to cast oneself in an epic mould is, as Zach might say, universal. We need stories. They are our way of arriving at reconciliation—the sorting of our life narratives into a prefigured arc of voyage, wandering, return. Excerpted from Songs of Kabir by Arvind Krishna Mehrotra, published by Hachette India.